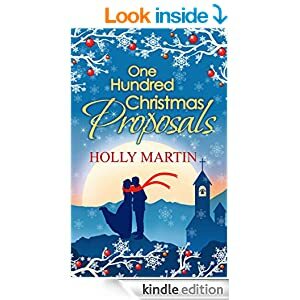 I loved One Hundred Proposals and was wary of this follow up. So often I find the magic has gone, the couple are together and really the story is over, and I’m disappointed, but…not here! Its another funny, magical read, full of fascinating, imaginative proposals. Holly makes it all feel so real, I can “see” the settings. I read Kat and Stone Bastions series recently, where there’s an events company which do incredible, unusual parties and innovative cakes, and there’s a similarity in that both books are able to take me out of the real world, and into one they’ve created. That what I want from a read, to lose myself for a few hours. Harry is just so adorable, so deeply in love with Suzie and I was so happy when it finally worked out for him. Now its December, they’ve been together for six ( I think) months and Suzie wants to talk about their wedding – but Harry seems reluctant to get into dates and details, only talking in the abstract. The December proposals are keeping them busy, and once again they sound so perfect, and I love Harry’s blogs about them. Snow on Christmas day – I’d love that, somehow it never seems right to have bright, sunny days or grey, rainy ones – it needs to be bright, crisp snow! I wish…happens every now and then 🙂 Its not hard to work out what’s going on, but that doesn’t spoil it, it’s like being a participant in the secret. Suzie’s mum is a real horror story, but her dad is lovely and even her mum seems to get into the Christmas spirit eventually. Stars: Five, its a great read once again, and perfect for Christmas reading.